Since I just finished Putting the Public Back into Public Relations by Brian Solis and Deidre Breakenridge, I am trying something new with regards to sharing my thoughts about the book. There may be a few more posts talking about the book in the future, but for the book is highlighted and I am revisiting all the highlights to pull out my favorite points for discussion and emphasis. Here are a few of my favorites just in the first 50 pages. 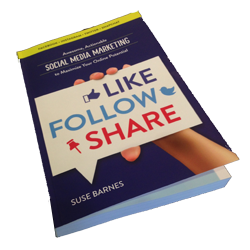 The book is well worth reading especially if you are a PR professional, but even if you are just getting into social media and trying to get a feel for the New Media landscape today. Stories are everything. I am reminded of Daniel Pink’s book A Whole New Mind, that drills this point home in his story about selling wine and if I tell you the story here I will ruin it for you, so if you’re interested read or even better, LISTEN to the book. In other words, know your audience and not just how old they are, where they live and how much income they earn, but really know them. Know where they spend their time, what they like, how they participate in social media, what they do at work and at home. Know how they think and what makes them engage in conversation. Since I started my career in PR and am now in Internet marketing, this quote makes me feel like I am in the right place to listen and engage.